Spada gloves are well renowned for giving great performance at an unbelievable price and constantly receive favourable reviews in the major national bike magazines - they have, to date, obtained many 'Ride Recommended' awards and one journalist from TWO magazine even went so far as to say 'the problem with Spada gloves is not that they are too expensive, it's that they are not expensive enough' Basically John Hogan could not believe that Spada could produce such a comfortable and high specification glove for the price. Get some on today and find out what he meant. The Spada Claw Waterproof Motorcycle Gloves have the highest specification and build quality which is needed for todays commuting rider. These two finger Spada Claw motorbike gloves are 100% waterproof combined with a thinsulate thermal lining to give the rider more comfort and maneuverability. The two finger design approach allows the rider to access and control all aspects of the motorcycle whilst still having the comfort and warmth that is required in a winter glove. Get more fantastic deals and offers now with Ghostbikes!!! Ghost Bikes now stock a full range of Spada Motorcycle Clothing. Please click here to see what's currently available. If these Spada Motorcycle Gloves, are not exactly what you were looking for then please view our full range of Motorcycle Gloves by clicking here. 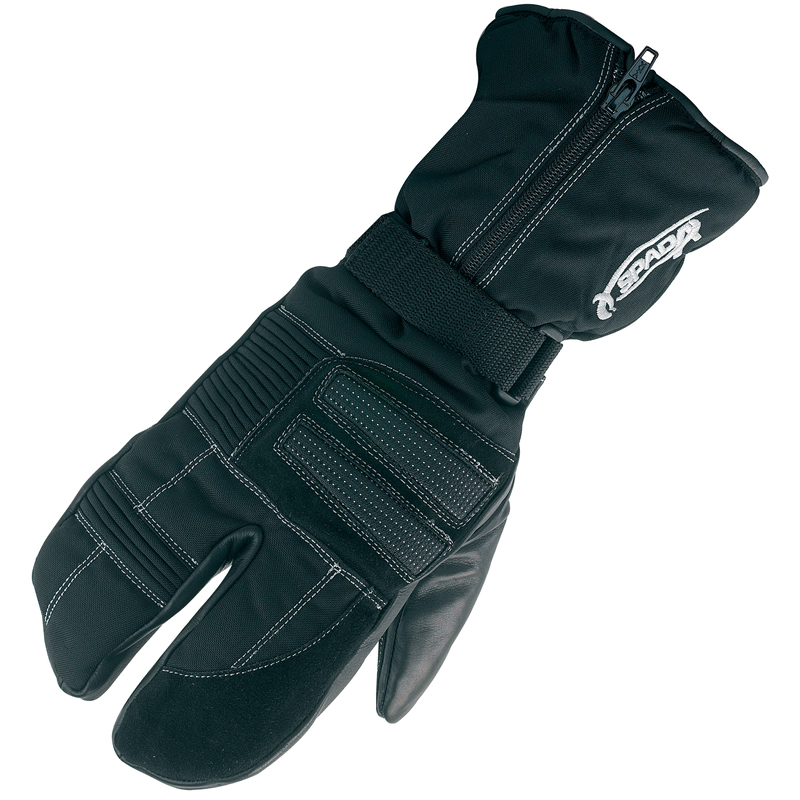 The Spada Claw Waterproof Motorbike Gloves are packed with features.. This Spada Claw Textile Waterproof Glove is available in various sizes, please use the guide below to help determine your correct size preference.